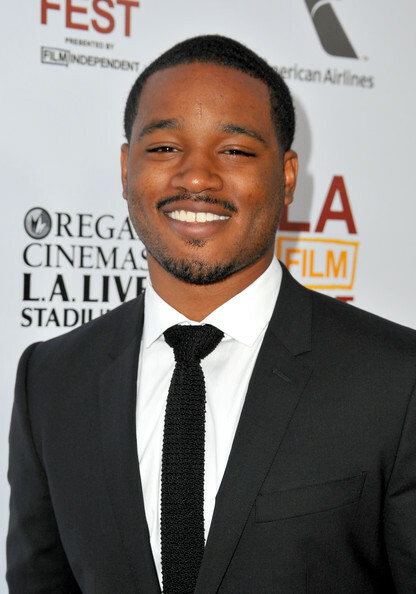 In reaction to the Zimmerman trial verdict, Stevie Wonder announced that he would cease performing in Florida. Obviously many people disagreed with this decision. One who did was the guitarist and right-wing attention whore Ted Nugent who described Wonder and his decision in ugly insulting terms. “How brain-dead do you have to be? How strangled by denial, how dishonest, how cheap do you have to be to focus on a clear-cut case where all the evidence, from the DOJ, from the FBI, from the army of investigative specialists in Florida determined that George Zimmerman acted in self-defense against a life-threatening attack by hoodlum, dope-smoking Trayvon Martin,” he continued. Nugent said Wonder has gone from being one of the most soulful men in the world to “soulless.” He also called Wonder’s boycott “brain-dead.” “I will pray for Stevie Wonder and all these other numb-nuts who think that Trayvon Martin is more important than the tens of thousands of slaughtered blacks at the hands of blacks,” he said. Nugent is constitutionally incapable of agreeing to disagree or couching his honest opposition in non-insulting terms. No, like a lot of similar conservatives, Nugent seemingly believes that anyone who disagrees with him is stupid, evil, soulless, and probably racist to boot. 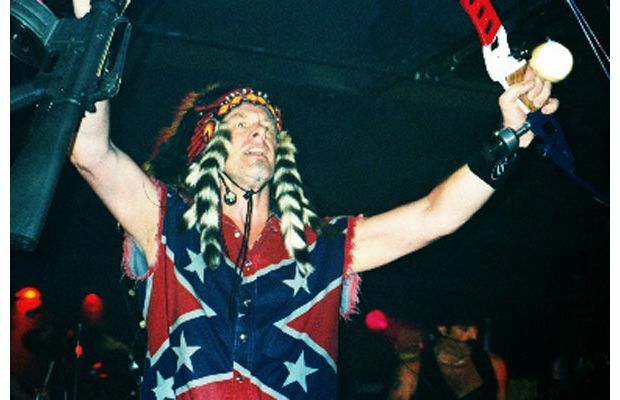 While I'm not sure that a man who performs in a Confederate Battle Flag t-shirt has room to call anyone racist or soulless, this is just the latest in a long line of racially charged vitriol from a has been guitarist who is the very picture of intolerance. To the extent that Nugent is the face of the Republican base, and he does seem to be quite popular with certain Republican elected officials, the Republican Party will continue to have low popularity among the coalition that elected President Obama twice. I'm going to write more on this later if I ever get time but people don't vote for people who make it clear that they hate you. We wrote post-election about whether the Republican party could shed its image of racial exclusion or even if it wanted to. As long as Nugent feels comfortable identifying as a Republican, the Republican brand will be racist. 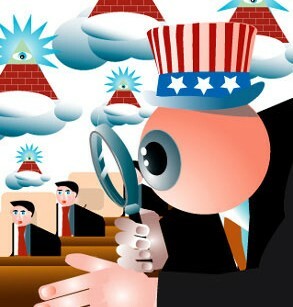 Allegedly the U.S. Government is obtaining or trying to obtain your various internet passwords. I can't say that I am surprised by this allegation. The horrible thing about the post 9-11 world to which Americans have eagerly submitted is that it gave permission to the most power-hungry authoritarian impulses on the both the left and the right to run amok. We have ceded so many rights and privileges of citizenship in order to be safe that I do not doubt that a future Administration will wish to put video cameras and screens in each American's home just to keep an eye on what everyone is doing. If we have to submit to a virtual strip search in order to fly, are subject to random stop-and-frisk walking the streets, have the Post Office scanning every piece of mail that has been sent and sharing that with intelligence or law enforcement agencies without a judge's approval, and have the NSA monitoring phone records and likely phone conversations and real time web conversations, why wouldn't the government just want to make things easy for itself by just getting user passwords? No muss no fuss. They can just sign on as you and read through your email or blog posts or facebook messages without any issues. What's the big deal right? If you have nothing to hide why wouldn't you want the government to have your passwords? What are you? An Al-Qaeda supporter? A fascist? A socialist? A Green Party voter? Join us Sunday, July 28th at 5pm (ET). I'm not a huge baseball fan. Although I do happen to be currently kicking behind in my fantasy baseball league. Go figure. Snicker. Nevertheless obviously I knew about Jackie Robinson and the mythic figure he became to several black Americans in the post-war era. So watching this film I attained a better understanding of why my maternal grandfather, like Robinson a WW2 veteran, was such an enthusiastic Dodgers fan (Robinson's team). 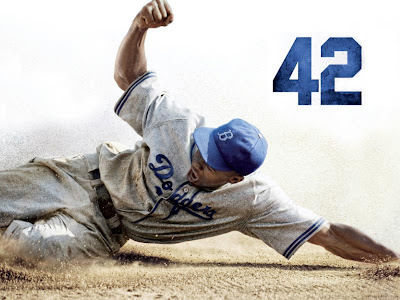 Though this is a sports movie and as such is mostly concerned with struggles between and among groups of men, it has a surprisingly strong secondary story line concerning the love between Jackie Robinson and his wife Rachel. She is key to providing Jackie support and love to keep going. She even has some relevant baseball advice. They protect and nurture each other. It's rare to see this in a black couple in a big budget Hollywood movie. This is really odd when you think about it. 42 is a traditional feel good movie. It's also big on sports cliches but it has the advantage in that a great many of these cliches in the story actually occurred. This film takes place shortly after WW2. Last season the Brooklyn Dodgers were almost but not quite good enough to win the pennant. Changes in American society were afoot. 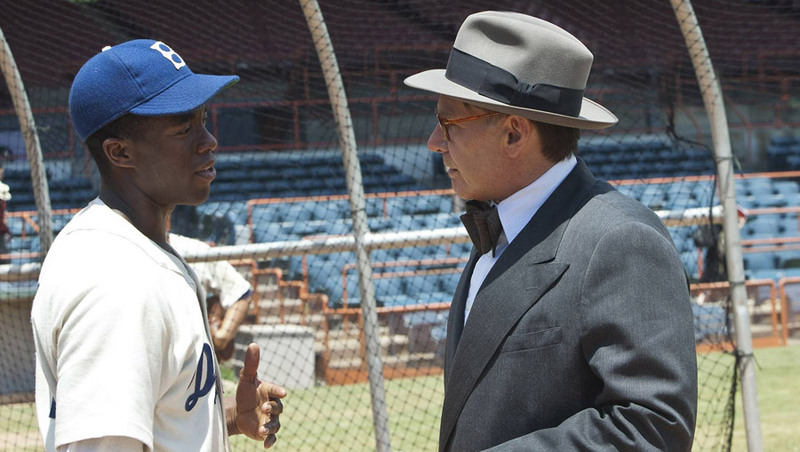 Brooklyn Dodgers general manager/president/part owner Branch Rickey (Harrison Ford) is determined to be part of what he thinks are required changes in American society, most specifically baseball. Rickey intends to find a black player who is skilled enough to play in the previously all white major leagues and who is smart and strong enough to deal with the eruptions of hatred that will surely follow from fans, rival players and even his own teammates. Rickey thinks that man is Jackie Robinson. I love you very much and I have some important yet difficult things to tell you. It breaks my heart that this is the second letter I have written to you and I am sorry that it even needs to exist. You will be born into a country that fears your mind, your body, indeed your very existence. "Why?" you will surely ask (because you are my child and I know what kind of person is born from the marriage of Anice and Reece :-) ) and I can only respond that there are too many reasons why for me to truthfully answer you without feeling like I've left something out. Someday we'll get into that stuff at a time you choose (because that's what kids do) but for now let's just let the question and knowledge hang out there. My silliness and the joy I express are real and you shouldn't forget that... but I have lived in fear for the majority of my adult life. Thankfully, my childhood was the one I hope yours will be in that I was surrounded by family and friends who protected me while I was growing into my adult body, shielding me from many experiences I am eternally grateful I never had. Hopefully by the time you're born I'll be (a great deal) smaller but I'm always going to be tall. Your grandparents, as you will learn to understand, are fiercely intelligent black people with good hearts. That tenacity, that physical and mental height advantage, that tradition of being proud makes us just that more likely to be targets for someone else. At a certain age, I was taught that the best way to ensure that I wouldn't suffer the consequences of my birth was probably just to react like I would a dangerous animal: take preventative measures, slow your movements, watch carefully for attack, gather information, when possible and safe just run away. I am often ashamed of it but it has kept me alive. Fear is an incredibly powerful motivator. If Anthony Weiner is willing to drag his wife and family through the mud to prove a point, he would do the same to New York City as Mayor. New York City does not need that type of a person in the top position. It has come to the surface that Weiner, after his 2011 resignation continued to engage in an inappropriate relationship with a 22-year old women. 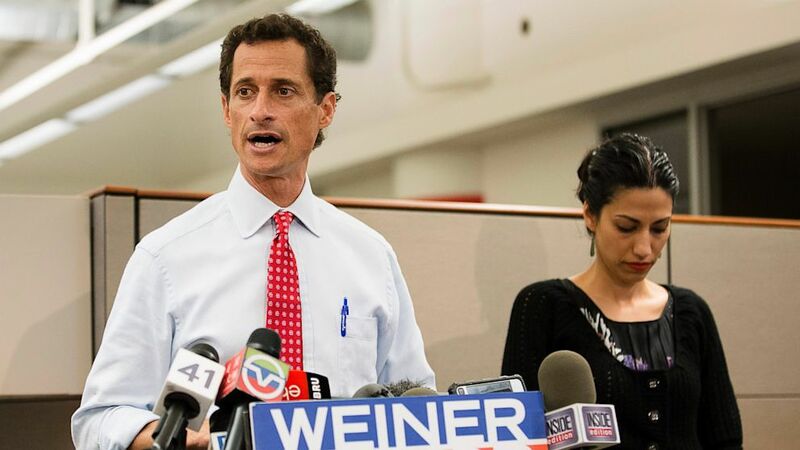 Weiner is accused of sexting and trading inappropriate pictures. This went on for six months post his resignation. Let me repeat and rephrase... Anthony Weiner was busted, lost his job and almost lost his marriage, but that wasn't enough. For six months following the self imposed monsoon, he continued to engage in the activities that caused the monsoon. Does this situation not smell like Weiner has some serious problems that need to be addressed in a psychiatrists office, not City Hall? That's right, I'm not British. I'm American. And usually I am not personally emotionally engaged in the arrival of a child into this world unless that child is mine or that of my kith and kin. I am ALWAYS happy to hear that friends, relatives, classmates, co-workers or other people I know are new parents/grandparents/uncles/aunts. I enjoy seeing their baby pics and hearing their funny stories. Why? Because I know these people and like or love them. Other folks? Well the best estimate is that there are approximately almost 400,000 children born every day on this planet. I don't mean to be a curmudgeon but I don't know or care about most of those people. I wish every child on this planet happiness, health and long life. My interest ends there. 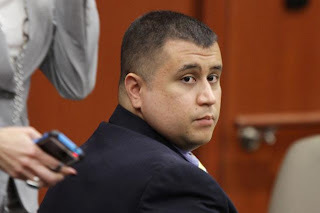 What if Zimmerman was Black? I don’t know Juror B37 anymore than you do. I think it is safe to assume that she doesn’t believe she's racist. I'm sure she'd say she doesn't hate Black people anymore then Paula Deen. However, any Black person that listened to her interview with Anderson Cooper heard how laced with race her comments actually were. The term you may be looking for is “implicit racism.” Contrary to others (I’m sure) I don’t believe many people who say or do things that most Black people consider racist actually HATE Black people. I do believe, however, that due to “implicit racism” they either (1) buy into the negative stereotypes, images, and generalities, or (2) come to a conclusion by relying on only part of the available facts and information. Implicit racism led the AP to produce two similar stories implying two different acts. It led (and leads) fraternities to host racially incentive parties, then turn around, shrug, and say, "what's the big deal?" And this is where we find ourselves today. 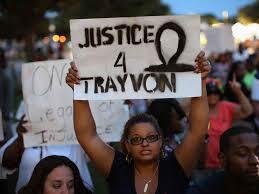 Trayvon Martin and George Zimmerman have thrust implicit racism to center stage. Implicit racism is still racism. 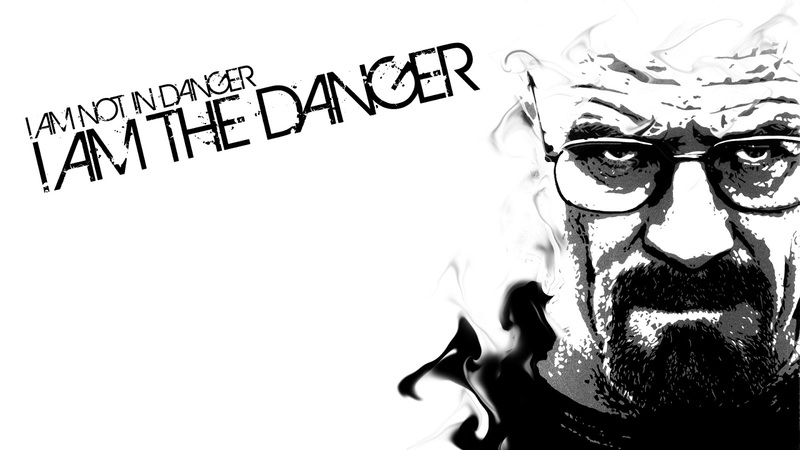 Yet, because it is hidden within the subconscious, it may be more dangerous than general racism. How do you "fix" something when others don't see the problem? Implicit racism takes an image or a small sample, and applies it to the entire race. This allows some folks to say, "[ALL] Black people don't care about education" when the dropout rate for Black people is 8% according to the Dept of Ed. So what would lead someone to apply an attribute from less then 10% of the population and apply it to the ENTIRE race? Especially when the argument could be made that not only do Black people care, they care more since they've made the greatest improvements (from 13% to 8%) compared to their White (9% to 5%) counterparts. As you can see, even if you THINK you don't have a problem -- Houston, there's a problem. Whenever author George R.R. Martin is asked about the Red Wedding he cackles evilly and rants that he won't stop his reign of literary terror until every last Stark is dead dead dead calmly points out that the normal myth cycle has often featured a boy becoming a man by rising up after his father's death and leading his family to prominence/revenge/justice. But Martin had zero interest in writing that story. 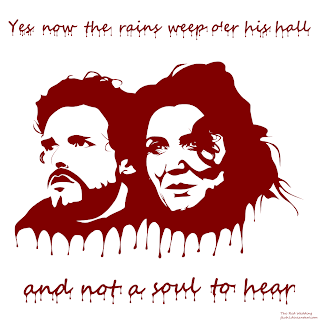 So by Word of God Robb Stark had to die. Martin has said art is not a democracy. If you don't like his writing ,read something else. He's certainly not changing his story because of your preferences. I might have something to write on that later as some fans have a bone to pick with Martin and Benioff and Weiss about representation and stereotyping. A really nasty controversy broke out about 3 weeks ago concerning some Season 4 casting news from HBO. But I digress. 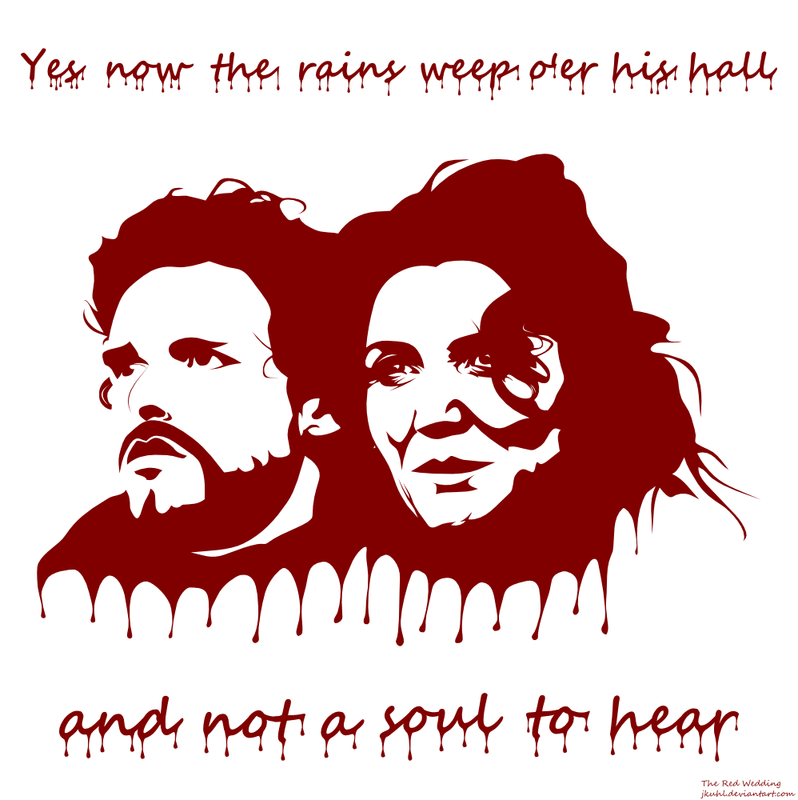 Anyway the Red Wedding was gruesome to watch on screen. It was horrible to read and according to Martin it was extremely painful to write. That is why he saved it for last (although chronologically it occurs a little past halfway through book 3). But temporarily putting Martin's decision aside, I'd like to step inside the creation and examine if Robb could have avoided certain mistakes and/or the costs that he paid for those errors. 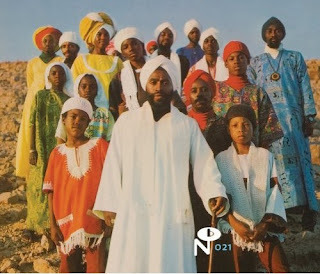 You may or may not be familiar with the phenomenon but there are some Black Americans who claim descent from one of the Twelve Tribes of Israel, or who had African Jewish ancestors who were kidnapped and enslaved, or who converted to Judaism, or who simply very strongly believed that Black people in general were the original Chosen People. The competing religious claims, rivalries and varied histories of all these groups go back for decades and in some cases centuries. They overlap with Marcus Garvey and thus with religions and movements like The Moorish Science Temple, The Five-Percenters, Rastafari and other black nationalist based groups. It's a longer post than I want to write this at this time but suffice it to say that in mid sixties Chicago and Detroit there were Black Jewish citizens, separate from Euro-American Judaism, who were proud of both their Jewishness and Blackness. Ultimately some of these people, known as African Hebrew Israelites, or just Black Hebrews, decided that America was no longer the place for them. They decided to immigrate to what they considered Promised Lands: certain countries in Africa and of course Israel. Their experience overseas was not without headaches as they were pressured by natives to prove their racial/religious/ethnic bona fides. Many people then and now thought they were fake. They believed the same of many of their critics. Some Black Hebrews gave up and returned to the US. Others eventually settled in Dimona, Israel where after several legal battles they were allowed to stay. Anyway, politics and race aside, the Black Hebrews who settled in Israel brought with them intimate knowledge of the then current popular and religious music of African Americans. One group that is worth listening to is The Soul Messengers. Like Parliament-Funkadelic, this group had different names and satellite groups that it backed up but it was usually pretty much the same group of musicians and singers despite what the name on the album release might say. 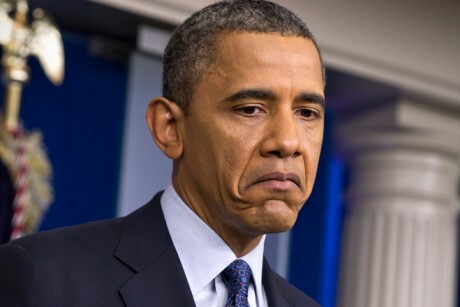 BREAKING NEWS: Obama: "Trayvon Martin could have been me 35 years ago." There were many in the African American community who were looking for President Obama (the country's first African American president) to comment on Trayvon Martin and the Zimmerman trial. Today, in an unannounced, unscripted press conference, President Obama gave his most extensive comments on race relations since his "A More Perfect Union" speech in Philadelphia in 2008. "When Trayvon Martin was first shot, I said this could've been my son. Another way of saying that is, Trayvon Martin could've been me 35 years ago,"
What is the significance of these remarks coming from the first African American president? As predicted here recently, the City of Detroit just became the largest municipality in US history to file for bankruptcy. Typically for the ways things are done around here, even the filing was filled with some shenanigans as Governor Snyder and Emergency Manager Orr filed the bankruptcy just before a judge was set to grant a temporary restraining order preventing such a filing. I think this is a sad day. But it is probably one that was necessary. My only interest now is in hoping that the retirees and their dependents, some of whom are very close to me, don't get the shaft in whatever comes out of this process. But being the pessimistic sort I think they probably will. The city of Detroit filed the largest municipal bankruptcy case in U.S. history Thursday afternoon, culminating a decades-long slide that transformed the nation’s iconic industrial town into a model of urban decline crippled by population loss, a dwindling tax base and financial problems. The 16-page petition was filed in U.S. Bankruptcy Court in Detroit. Gov. Rick Snyder’s office was making plans this afternoon to hold a 10 a.m. Friday morning news conference at the Maccabees Building, 5057 Woodward in Midtown, according to his office. It’s the same location where the governor declared a financial emergency for Detroit on March 1. 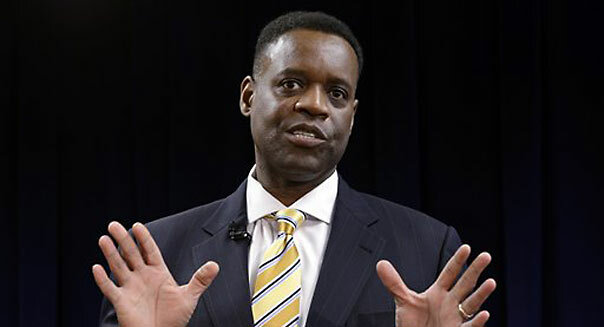 Snyder authorized Emergency Manager Kevyn Orr to file bankruptcy under a law the Legislature passed in December that replaced the previous emergency manager law voted repealed last November. One thing which my father and other mentors always told me is to pay less attention to what people say and more attention to what they do. Actions speak louder than words. A manager might say that she's impressed with your experience and skills but if she ensures she pays you less than everyone else in your department with equal or lesser experience then perhaps she's not really all that impressed. A couple might say they would enjoy coming to a get together at your house but if every time you invite them they're busy or you get voicemail then perhaps they're trying to politely send you a message. Another person might tell you that your business plan is going to take the world by storm but if he's unwilling to invest chances are he doesn't have faith in your supposed business acumen. So with all that in mind it was irritating to hear a President who has spoken eloquently about the evils of racial profiling in Arizona and elsewhere to, if not quite endorse, float a big fat trial balloon towards the appointment of NYPD Commissioner Ray Kelly to replace outgoing Department of Homeland Security Secretary Janet Napolitano. New York Senator Chuck Schumer has been lobbying to get Kelly that job. Obama offered Kelly praise, saying he would be "well-qualified" for the position. 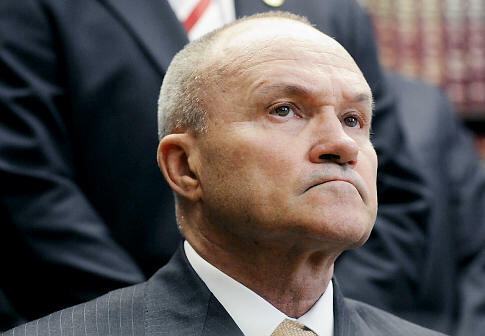 Ray Kelly's obviously done an extraordinary job in New York," Obama said. "And the federal government partners a lot with New York, because obviously, our concerns about terrorism often times are focused on big-city targets, and I think Ray Kelly's one of the best there is. Join us Sunday, July 14th at 5pm (ET). I'd like to point out that I said George Zimmerman would be acquitted a month ago. Not that I necessarily wanted that outcome but because I know my state and its laws. An unarmed Black kid was shot and killed. The Hispanic man who killed him never denied the killing. 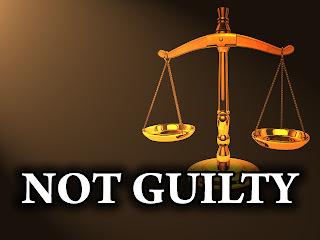 The Stand Your Ground Law was not the primary defense used by attorneys Mark O'Mara and Don West, but because it is law it played a part in how the jury decided the verdict. Under Florida law George Zimmerman had no duty to retreat in the fight with Trayvon Martin. Under Florida law deadly force is legal no matter who the aggressor is in a confrontation. This is the law. This law in its application is not always equal. So while both prosecutors and defense attorneys say this specific case was not about race, I understand as a Black community (that is not said to alienate our non-Black readers) why we feel like it is. I spent the night of the verdict inside my newsroom containing my feelings and trying to make sure I presented balanced coverage. As a journalist that is my duty. As a person, a woman of color, I still can't help feeling some kind of way. 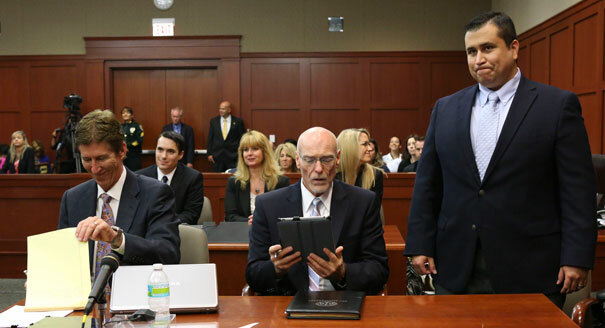 Jury Finds George Zimmerman NOT GUILTY on all counts. On Wednesday, the Defense attorneys for George Zimmerman rested and Mr. Zimmerman himself told the judge on the record that, after consulting with his attorneys, he had decided not to take the stand. In criminal trials, this tends to signify confidence on the part of the defense - sort of like choosing to pull your starters out of the game during the final minutes when your team has a comfortable lead. Now everybody wants to know one thing: will Zimmerman be found guilty or not guilty for the killing of unarmed 17 year-old Trayvon Martin? 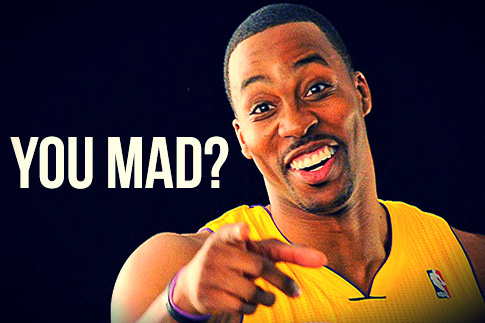 Dwight Howard decided to leave the LA Lakers to take less money with the Houston Rockets. While there were quite legitimate basketball related reasons behind this move statements from both Laker partisans and Howard himself suggest that Howard was not ready for the LA spotlight or for the occasionally pointed and direct criticism from fellow Laker and famously intense competitor, Kobe Bryant. I don't like criticism that much. I don't know many people who actually do like criticism. It can hurt your ego when someone explores your shortcomings. The critic's tone and who they are can outweigh their valid content. It's one thing when someone who is more successful or experienced than you in your chosen field and/or has the authority to oversee your work gives you some pointers. It's a different matter entirely when a person who has been homeless for a decade starts lecturing you on your career or finances. A firm and fair critique or a blunt discussion behind closed doors resonates with me more than a person who, when pointing out something wrong or dumb I'm doing feels the need to a) inform the entire world and b) throw in gratuitous insults about my intelligence, competence or immutable attributes. Ideally, both the person giving the criticism and the target of the critique should separate the criticism from the person. However, usually without someone to push you, you simply can't grow. You'll constantly make the same mistakes. That's true in both personal and business relationships. You need honest feedback that lets you know where, to use corporate speak, you have "room for growth". So even though I dislike criticism, I've occasionally sought it out. If I know what my weaknesses are hopefully I can make changes to develop in a positive direction. This means checking my ego and investigating if the criticism is valid and useful. That's more important (usually) than the tone or motivation. Willow Smith: Summer Fling - Appropriate or Inappropriate? Willow Smith's New Single, "Summer Fling" - Appropriate or Inappropriate? There is some controversy brewing on Willow's recent single and video. I have my own thoughts but would like to hear what everyone else is thinking, before I unleash. Willow is 12-years old and the daughter or Will and Jada Smith. I guess some people take "Until death do us part" a little too literally. I don't know how many stupid people have to get busted trying to solicit murder until the word gets out that trying to do this will almost inevitably wind up with the would be killer revealing themselves as an undercover police officer and the so-called shot-caller going to prison. I mean I think I read at least one of these stories every six months or so somewhere in the United States. I'm also a little surprised that the husband doesn't want his wife to go to prison. Heck if that were me I'd want her under the prison like yesterday. For me anyway, it would be more than a little dismaying to learn that the person who is supposed to be your other half, the woman who's got your back, the one person who you can really count on, is making plans for your funeral arrangements...and you're not even sick. I mean this woman had all sorts of ideas about the best way to commit murder and get away with it. I also think I might be a little cagey with my wife about exactly how much my life insurance was worth or precisely who the beneficiary was. But again, there's a thin line between love and hate and that's often quite evident in domestic violence cases. Six years seems a little light for sentencing but then again perhaps trying and failing to have your husband killed is better (or at least not as bad) than trying and actually succeeding in having your husband killed. Sometimes we wonder how much we're worth to the people that say they love us. I guess Mr. Merfeld knows the answer to that question. About $400,000 give or take. An investigation into a 20-year-old West Michigan woman who later pleaded guilty to soliciting the murder of her 27-year-old husband included videotaped meetings with an undercover police detective. On the video, Julia Charlene Merfeld of Muskegon is heard telling the detective posing as a hit man that the killing would be "easier than divorcing him." Merfeld said that if he was killed she wouldn't have to worry about her family's judgment or "breaking his heart." Two videos made in April were released to WZZM 13 by prosecutors. Merfeld pleaded guilty last month to soliciting a murder. She's jailed ahead of sentencing July 30 and is expected to face prison time. Authorities say she wanted her husband's $400,000 life insurance policy, and promised to pay $50,000 for the killing. I want to crawl under a rock, go to sleep and wake up a Republican. Republicans don't make stupid political moves like this. They also don't make decisions like this that will damage the party or set it back. Yes, the Republican Party has committed the political felony of refusing to adjust their ideologies to accommodate today's electorate. Despite that flaw, you can always count on them to demonstrate order and strategic alignment. What do I mean by strategic alignment? The Republican Party will lie, cheat, and steal to keep traditionally Red States red, or hold on to positions that are often held by Republicans. Sounds bad, but that's strategy. Can someone please tell me why can't Democrats do the same? 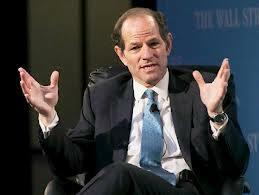 First Anthony Weiner, now Eliot Spitzer. Some believe that the modern US Civil Rights Movement started with the Montgomery Bus Boycott, reached its zenith in the March on Washington and/or the passage of the 1964 Civil Rights Act and died with the assassination of MLK. This story version normally shows black people and some supportive whites being beaten, insulted, spit on, shot at, and even killed all without even trying to protect themselves. The blacks are long suffering martyrs who look mutely to Washington D.C. for guidance and protection. Well. This book puts the lie to that fantasy. While certainly MLK believed in non-violence as both a moral necessity and the only realistic tactical choice available to an outnumbered, mostly unarmed and incredibly despised minority, MLK's views never achieved 100% acceptance in the movement, even among people inclined to support him like many SCLC, SNCC, NAACP, and CORE members. 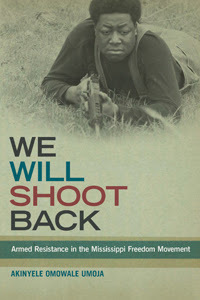 Some people, even those who meant well, were under the incorrect impression that southern blacks were more comfortable with non-violence and turning the other cheek while those crazy blacks from the NOI or Panthers (usually from the North or West) were the ones who supported defensive, retaliatory or pre-emptive violence. Some black movement participants had this viewpoint before they came south. This simply wasn't the case. The Civil Rights movement needs to be understood as not just something that happened in the fifties and sixties in the South but rather as an ongoing struggle by black people throughout American history to claim their independence and constitutional rights. Several southern born and bred black men and black women simply did not believe in turning the other cheek. The fact that occasionally they HAD to did not mean they accepted it. Some simply didn't do so under any circumstances. Often such people were considered "crazy n******s" and wound up dead, imprisoned or in insane asylums. But it did not go unnoticed that white racists normally gave such people a wide berth. It's one thing to abuse people who won't fight back. It's something else to mess with people who have guns and will use them. com - mod - i - ty (noun): something of use, advantage, or value. The magazine industry has taught us for decades that beauty brings in the bucks. And while most men's magazines are just now catching up to this fact, women's magazines and the men behind them have known it for eons... like since the dawn of breasts and the age of ink. But what isn't quite so comparable is Black beauty. 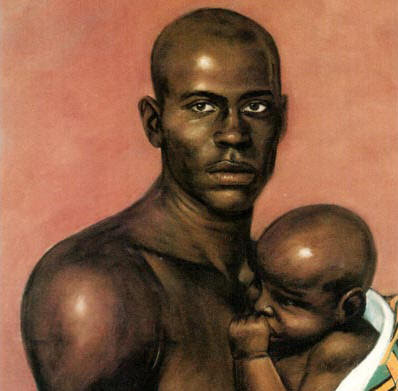 Can major magazines make money off of a real Black face, even if it is light in complexion? Apparently the answer is hmmm.... maybe???? As the Beyonce cover headline makes it plain, the time difference between these two beautiful Black women covering Vanity Fair is eight years. I'd like to also mention that within those eight years these are the only two Black women who have covered Vanity Fair solo. While America continues to watch and debate the George Zimmerman trial, we thought it might be helpful to provide some legal context as to what is actually going on here. As you've probably heard by now, George Zimmerman has been charged with 2nd Degree Murder for the shooting death of 17 year-old Trayvon Martin. 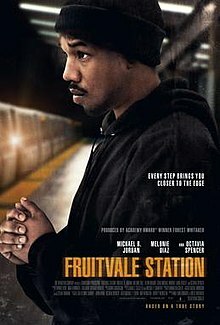 Trayvon Martin was unarmed at the time of the shooting but George Zimmerman claims that he shot Martin in self defense. So what does Florida criminal law say about all of this? And what is the difference between 1st Degree Murder, 2nd Degree Murder, 3rd Degree Murder and Manslaughter in Florida?